Mint! 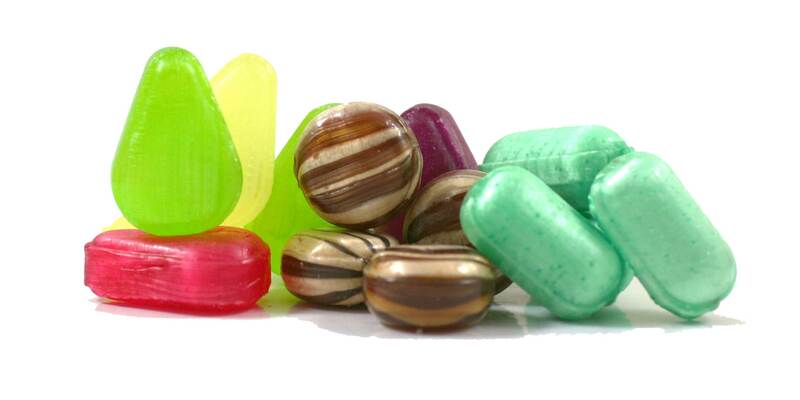 - lip-smackingly delicious 10 minty humbug sweets with a stripy hard shell and chewy middle. Just like Mamma used to buy from the corner shop - Yum! Who Love’s Ya Baby! - a real retropoke with a bag of 6 delicious assorted fruit flavoured lollies..... go on, free the taste! Gotta Chew - 10 mini Maoam stripe chews! Mini Love Hearts - for maxi love! 8 x mini tubes of colourful fizzy sweets with a love message on each sweet! 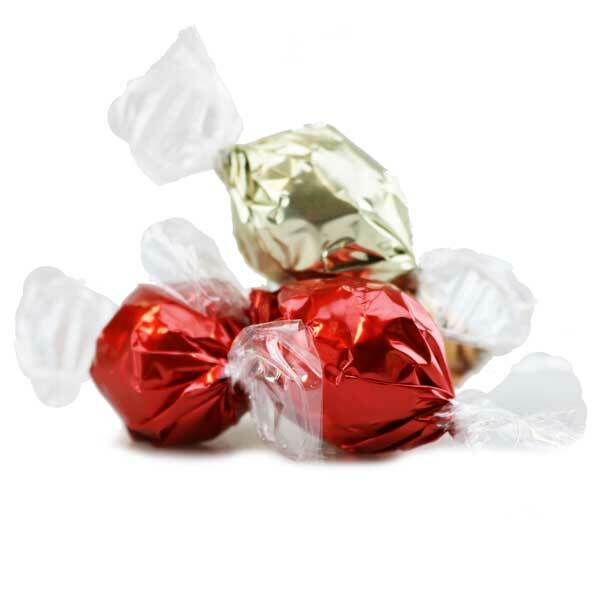 Tempting Truffles - a massive bag of 30 fabulously luxurious milk, dark & white Truffles. There are more than enough to share, but once they taste these sublime spheres of tantalising Belgian chocolate, you may find they keep them for themselves! 2 x Brilliant Brownie Squares 70g - wonderfully chunky and luxuriously rich! Milk and dark Belgian chocolate mixed with a little magic these chocolate chip brownies are not only indulgent, but a piece of pure heaven! Brownies that any girl guide would be proud of! Gluten Free. Suitable for Vegetarians. You can choose your greetings card and write your message during the online checkout process. You can choose your greetings card and write your message during the online checkout process. We will prompt you to select your fav from our selection of exclusively designed funky greetings cards during your transaction and ask you for your message. We’ll pop it in Giftbox and parcel it all up safe & sound ready to deliver. Nothing more to pay for our 1st class delivery service – order before 2pm on a working day and we’ll send it out 1st class in the post the same day! Or you can upgrade to guaranteed next working day during the checkout process if it’s an urgent sugarpoke that’s required! Brilliant for your girlfriend, boyfriend, husband, nan or pappy!